Dhuruvangal Pathinaaru went on to be one of the critically and successful films of 2016, the film also cemented a place for the young and dynamic Karthick Naren in Kollywood. Now all eyes are on Karthick's second film Naragasooran featuring Arvind Swami, Shriya Saran, Indrajith, Sundeep Kishan and Aathmika in the lead roles. The trailer for Naragasooran is all ready and loaded to be released on the 1st of August. 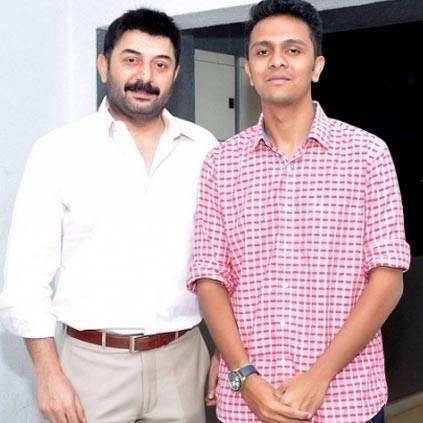 Now Arvind Swami, who happened to have watched the promo video took to his Twitter space to praise Karthick Naren. "Want to share my joy & pleasure after seeing the #Naragasooran trailer a couple of days ago. Shows the intent of the storyteller; teases you with the mood, and makes you taste the essence of the narrative . I love this man more 👏👏@karthicknaren_M . Trailer releasing on Aug 1st" - Arvind Swami.